Dr. Pepper Snapple and Keurig Green Mountain are merging. In a statement on Monday, the companies announced that Keurig has agreed to buy Dr. Pepper Snapple for $103.75 per share in a special cash dividend. The new company will be called Keurig Dr. Pepper, and is projected to earn $11 billion in annual revenues. It will be controlled by JAB Holding Company, the family-run investor that led a $13.9 billion buyout of Keurig in 2015, taking it private. Mondelez International, a snacks maker and partner with JAB in Keurig, will own 13%-14% of the combined firm. 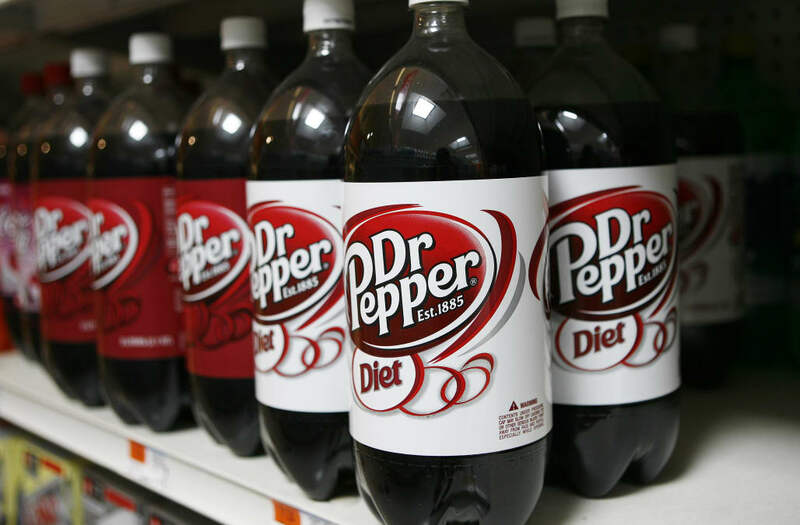 Dr. Pepper shares surged 42% to $135.93 in premarket trading. "We are very excited about the prospect of KDP becoming a challenger in the beverage industry," said Bart Becht, the chairman of Keurig. The deal comes after years of falling sales at Keurig amid strong competition from other coffee makers. Also, the company has been in the crosshairs of environmentalists because of its plastic K-Cup single-serve coffee pods.